As a former student of Guru Gopikrishna’s, India, Priya’s lessons in traditional Katthak help you implement fluidity and grace through this elegant classical dance of India. Accompanied by nimble footwork and pirouettes, the dance style portrays a story. Facial expressions and eloquent hand movements also comprise an important part of the dancers’ presentation. Original pieces are composed for students on Bollywood beats, as well as traditional pieces from the teachings of Padmashri Award winning Guru Nateshwar Gopikrishna. Here is a beautiful student who had never done Katthak before – watch how quickly she picked it up and how we combined it into a creative piece! Excellent core foundation training for Bollywood performing arts. India is a diverse land with many regions having their own dances. Learn the variances region to region with dances such as Garba, Dandia, Ghoomar, Bhangra, Lavni and much more. From the vigorous Bhangra of Punjab to the grace of Garba or energy of Raas from Gujarat, the carefree Koli dance or the rhythms of Lezim of Maharashtra, we bring you the diversity of India through its inspiring & colorful folk forms! 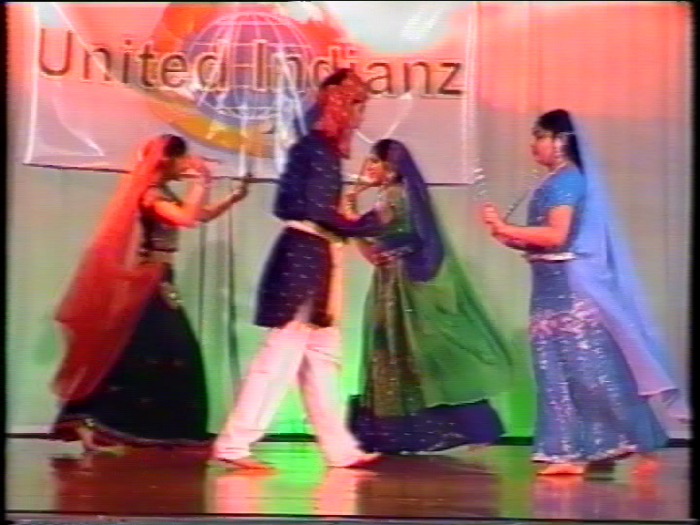 Watch an array of FOLK & CLASSICAL DANCE forms on our Youtube channel! Have loads of fun working in a team -make many friends who share your hobby! Dancing to rustic, robust, high energy tracks! Dear Ms. Priya, Thank you for all you have done for our kids over the last few months. Your dedication, hard work & passion for the art has made this possible. We are amazed at your ability to train & choreograph a bunch of 4-5 year olds. You have taught them discipline, self-esteem & most importantly, exposed them to a culture that they are so far removed from. Ashima is a shy girl, she won’t even practise in front of anyone but me, and today she will perform on stage- we attribute that to you. Thank you so very much. Love, Ashima’s family. Ms. Priya, we are very grateful for the amount of persistence and patience you extended our children during the classes for the Indian Independence show at the Mahatma Gandhi Memorial Center. We thoroughly enjoyed the show, some of us born in India had tears in our eyes as the songs and scenes brought back our childhood memories on the traditions. Please do find a note attached from all our children who took part…..